Order employees by seniority. Separate employees by department. 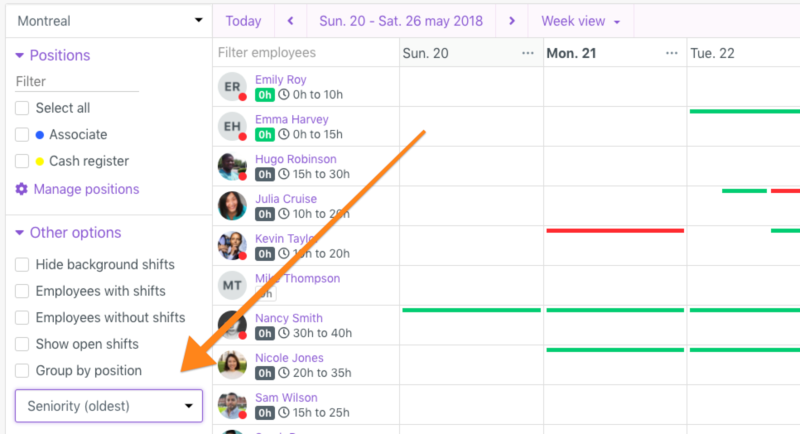 You can change the order of your employees in the scheduler using the drop down menu on the left of the agenda under "Other options". IMPORTANT: If you are on a small screen, this will be available in the "purple funnel" top left of the agenda. Grouping by position will separate your different positions or departments and will place them one under the other. The feature can be activated in the "More" button top right of the agenda.